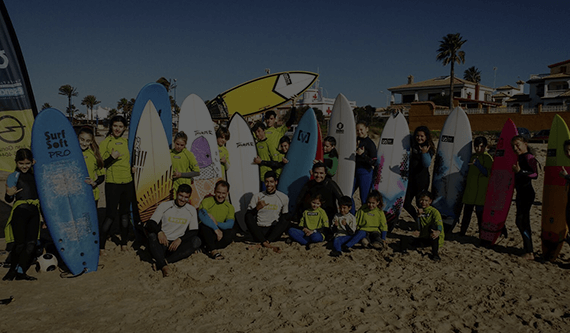 ESENCIA SURFSCHOOL WE ARE A SURF SCHOOL LOCATED AT THE BARROSA BEACH IN CHICLANA DE LA FRONTERA. The courses we offer are oriented at different levels: from the first sessions of initiation to the perfecting, always by the hand of qualified instructors who love sports and with a long experience in the sector. Our classes include all the necessary equipment: board, neoprene, lycra and liability insurance. You just have to put the desire to learn and share the passion for surfing. Since 2003 we have dedicated our efforts to create a pool of surfers who are aware of the importance of taking care of the environment where we practice our sport. Therefore, we offer a quality education with a multidisciplinary character, which is not focused solely on sports practice. 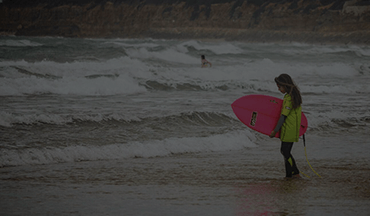 Today, as a result of our work, many families trust us to educate new generations of surfers. The beach of La Barrosa, with more than 8 kilometers in length, is the ideal place to surf with waves suitable for all levels. The climate of the area with more than 300 sunny days a year, joins the beauty of the golden sand and clean waters of great quality to be named one of the best beaches in Spain. 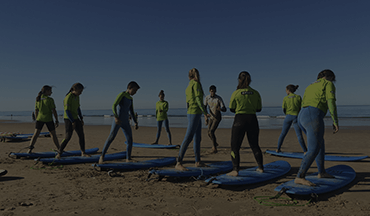 ESENCIA SURF SCHOOL we are located on the second track of La Barrosa, offering surf courses for all levels and in different languages. We have extensive facilities on the beach, with changing rooms and hot showers. In addition to a store where we will advise on technical products and you can buy first-hand equipment and rental. 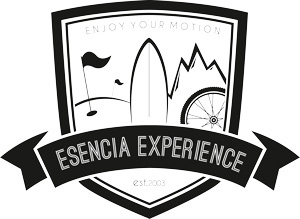 Our ESENCIA is to make you feel at home and that you become part of our surf family. Our flexible and close treatment will help you to get the enthusiasm and the desire to learn more about the world of waves.